This photographed in some ways symbolized the deterioration and decay of some of the places I discovered in rural North Dakota. 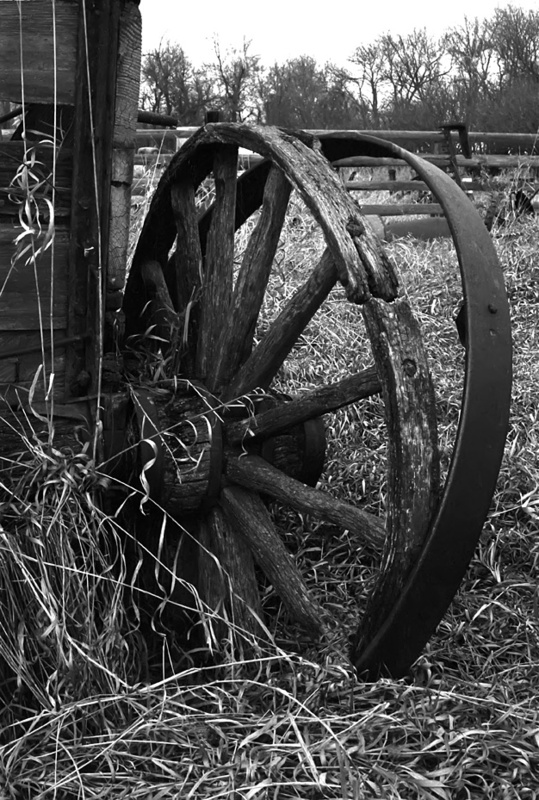 This wagon wheel, partner to the work horses that pulled it, was one of the last remaining objects in tact at this farm. The horses and the people who lived and worked here have long past, but this “Derailed” wheel is the final proof of a time, a life that once was.